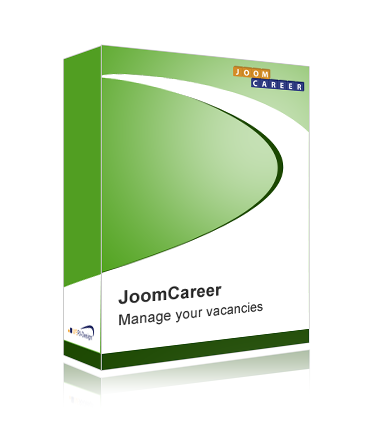 With the component "JoomCareer" for Joomla 2.5 and Joomla 3 you can present and publish all your available job offers on your website easily. The applicants can apply directly with cover letter, curriculum vitae and certificates. Further it is possible that firms can register on your site and create own job offers. So you can create a real job portal. BewerbungenJobsuchende können sich direkt auf der Seite bewerben. 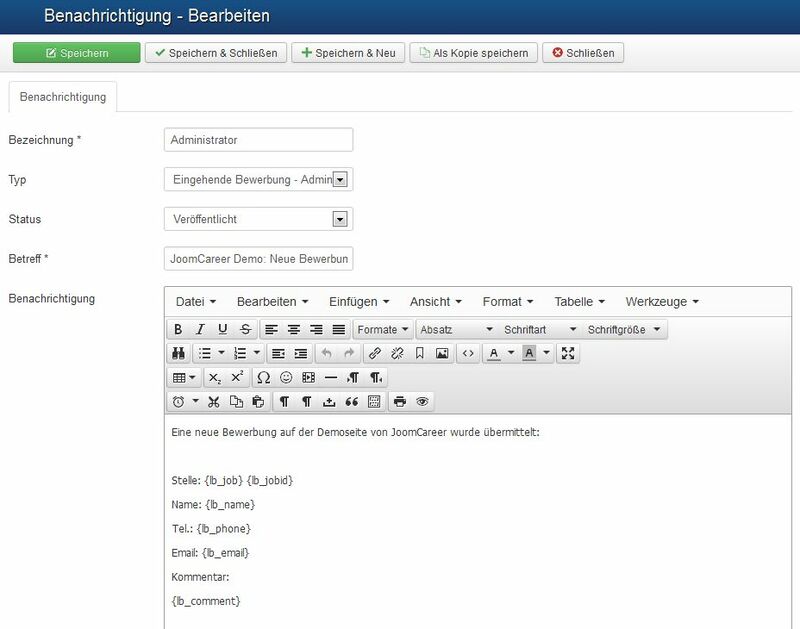 Bewerbungen können im Backend verwaltet werden.